Birmingham City’s FA Cup third round clash with Wolverhampton Wanderers will pitch two old friends together in Chris Hughton and Mick McCarthy. The two ex-internationals spent plenty of time together whilst on duty for the Republic of Ireland and struck up a friendship that lasts until this day. Despite that, both managers will have their minds entirely focussed on the game with a place in the fourth round being of paramount importance. Chris Hughton will look to use his squad the ‘best way’ he can, which could signal call ups for Morgaro Gomis, Wade Elliott, Jordan Mutch and Liam Ridgewell. 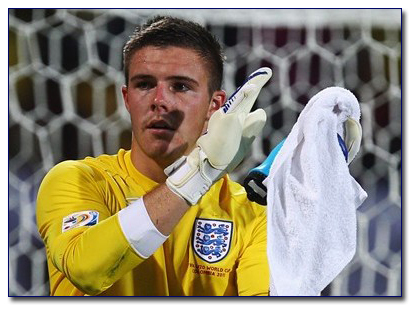 Hughton has also hinted that he may include England u21 goalkeeper Jack Butland in the squad for the Saturday lunchtime clash. Speaking to bcfc.com Hughton said: “It’s a local derby and one we want to win, but I’m sure Mick will have something to say about it. “I think if you’re playing against your local rivals it should spice things up a little bit. “There are some wonderful derby games over the years to look back on and it always has that bit of an edge to it and rightly so because that’s the nature of our game. “The magic is still there for me and for anybody that is involved in English football. “It’s the major cup competition throughout the world, irrespective of how it’s tweaked or people’s approaches to it on any give occasion. “In some ten or 15 years I think it will be looked upon the same way. “It’s a wonderful competition for players to play in and for the supporters to be involved in and club to be involved in. “In some ways it’s a release from our Championship games because we go into another big group of games after this weekend. “It’s always exciting when this competition comes around and there’s also the fact that we’re on television and it’s against our local rivals. “That heightens the spectacle and I hope it can be a good game and I’m sure it will be. This entry was posted in BCFC News and tagged bcfc, birmingham city football club, chris hughton, fa cup, jack butland, mick mccarthy, wolverhampton wanderers. Bookmark the permalink.